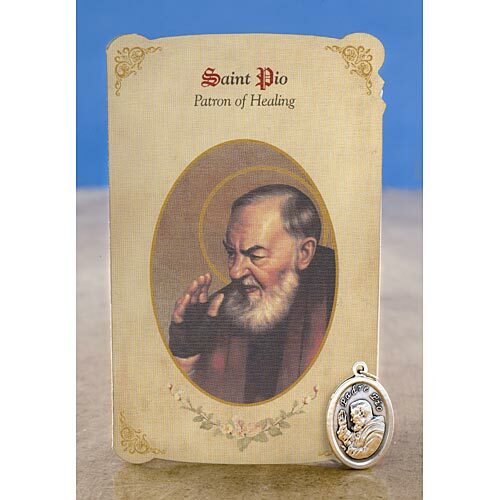 The St Pio Healing Holy Card with Medal offers hope and comfort to those who seek healing through the intercession of the beloved Padre Pio. Features an exclusive full-color image of St Pio (Padre Pio) on a gold stamped, folding prayer card with a short biography, and a novena prayer. Also includes an oxidized silver patron saint medal.